Quark Soup by David Appell: Did Dinosaurs Sleep? This is a juvenile, about 53 cm long. 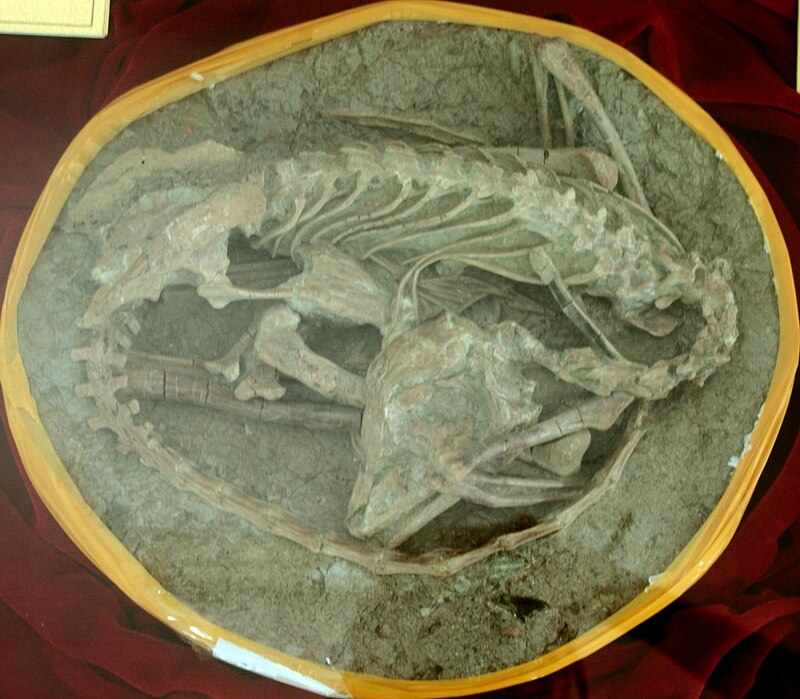 Another sleeping Mei long fossil was discovered in 2012, but it's not as clear as the above picture. I'm not sure why, but seeing this picture was somehow soothing, realizing that some dinosaurs, at least, had some peace (maybe) in a red-in-tooth-and-claw world. Did the brontosaurus sleep? How, on its side? If so, how would it ever get up? Maybe it slept standing up, perhaps in water to relax its muscles some? What about Tyrannosaurus Rex? Did he lay down and, when he woke, did he push himself up with his tiny little arms? If he laid down, did his body mass nearly crush his torso? Elephants, who only sleep about 2 hours a day (because they need to find so much food every day) sleep both standing up and lying down. So their body mass, as least, doesn't crush them. There are too many interesting things to learn about.